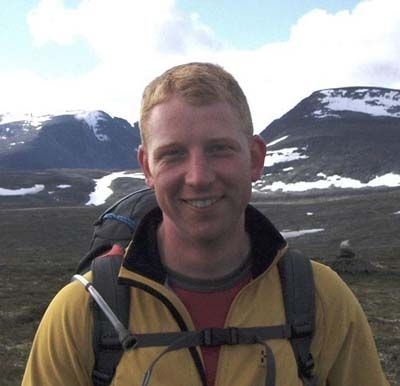 Pete Bunting is a Reader in Remote Sensing within the Department of Geography and Earth Sciences (DGES). He original joined the department in 2004 when he undertook his PhD, lectured from 2017-2011 before working for Landcare Research, NZ, returning in 2012. Prior to joining the department he undertook his undergraduate degree in Computer Science, also at Aberystwyth University. Dr Bunting's research is concerned with the computational processing of spatial data, primarily for the mapping of land surfaces & biophysical attributes both in terms of their current state & as they change through time using remotely sensed (terrestrial, airborne & spaceborne) & ancillary GIS data, to inform policy & understand the processes of change. In particular, his research involves the development of new & automated techniques for information retrieval from image & 3D point cloud datasets. Produced the first global automated classifications of mangrove forest extent and change from satellite imagery using a globally consistent methodology as part of the global mangrove watch (https://www.globalmangrovewatch.org). Developed the SPD software library which is the first of its kind to support operational processing of the latest full waveform & multispectral LiDAR datasets. Developed the RSGISLib software which is used globally by many others for the processing of remotely sensed and GIS data. Currently work is focused on improving global mangrove mapping, extending methods to other forest types and the estimation of biomass change globally as part of the CCI Biomass project. Operational large-scale segmentation of imagery based on iterative eliminationShepherd, J. D., Bunting, P. & Dymond, J. R., 2019 , In : Remote Sensing.11, 6, 658. Automatic Detection of Open and Vegetated Water Bodies Using Sentinel 1 to Map African Malaria Vector Mosquito Breeding HabitatsHardy, A., Ettritch, G., Cross, D., Bunting, P., Liywalii, F., Sakala, J., Silumesii, A., Singini, D., Smith, M. W., Willis, T. & Thomas, C., 2019 , In : Remote Sensing.11, 5, 593. A Structural Classification of Australian Vegetation Using ICESat/GLAS, ALOS PALSAR and Landsat Sensor DataScarth, P., Armston, J. A., Lucas, R. & Bunting, P., 2019 , In : Remote Sensing.11, 2, 147. Enhancing digital surface models for hydraulic modelling using flood frequency detectionEttritch, G., Hardy, A., Bojang, L., Cross, D., Bunting, P. & Brewer, P., 2018 , In : Remote Sensing of Environment.217, p. 506-52216 p.
Addressing mangrove protection in Australia: The contribution of earth observation technologiesMetternicht, G., Lucas, R., Bunting, P., Held, A. & Ticehurst, C., 2018 , 38th Annual IEEE International Geoscience and Remote Sensing Symposium, IGARSS 2018; Valencia; Spain.IEEE Press, p. 6548-65514 p.